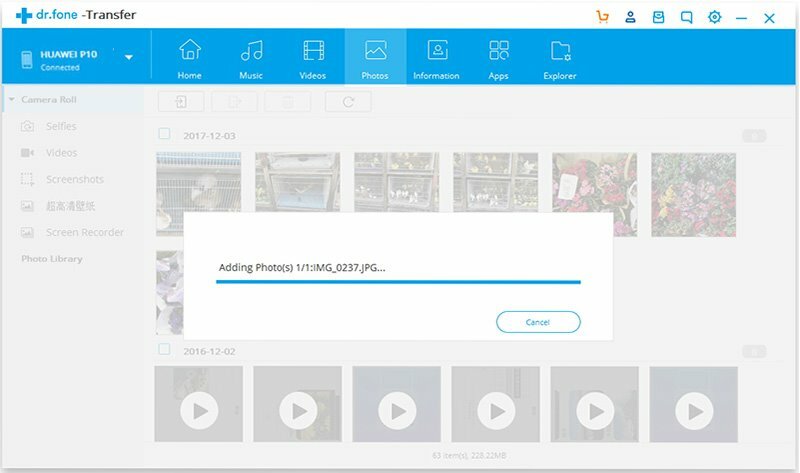 Moving files from your Android device to computer or vice versa doesn’t have to be tedious or difficult. There are great options to sync and transfer files between Android and computer, you just have to find the right one. And iSkysoft Toolbox – Transfer (Android) makes the move seamless and simplest ever. Let’s walk through these easy steps. Since the steps to transfer photos, music, video, and so on are similar, here we only take photos as an example. Hit Photos tab and you will see all the photos on the main interface. To view all the photos, you need to scroll the mouse to the end. 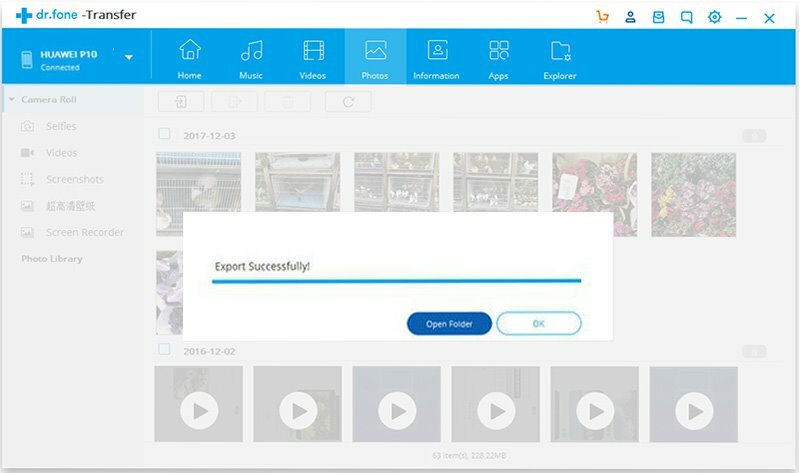 Click on Add button to import local pictures. And then choose to add file(s) or add folder. 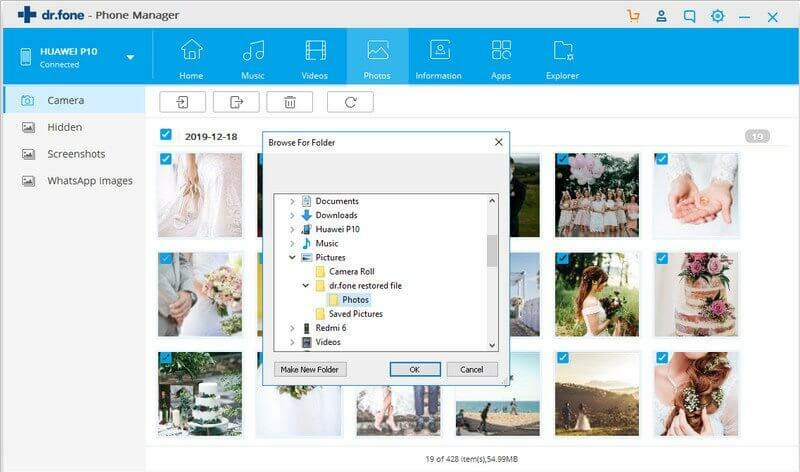 If you want to import a whole folder with pictures, you need to choose a folder from your computer. Then click OK to confirm your choice. If you only want to transfer single or multiple images from a folder, browse the folder and select one or more photos (hint: hold the CTRL key to select multiple targets). The selected files will be added to your phone after the transfer. Before exporting photos, you need to select photos first. 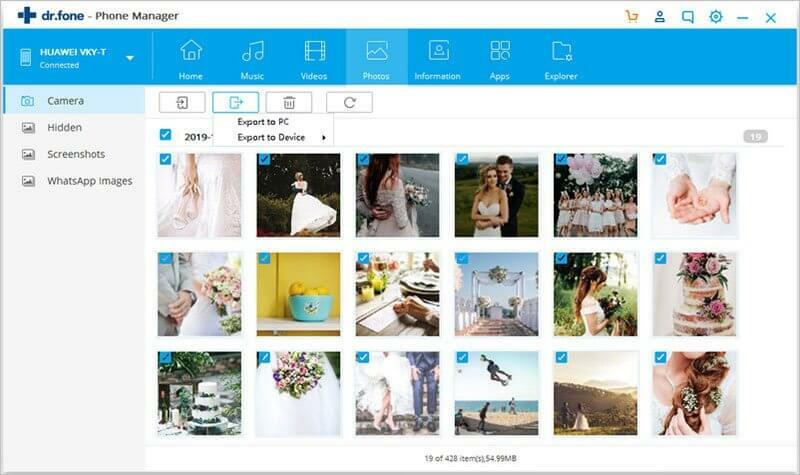 You could select all the photos by pressing CTRL + A or select a portion of photos by clicking on them. Now click on Export button near the Add button, and choose Export to PC as below. 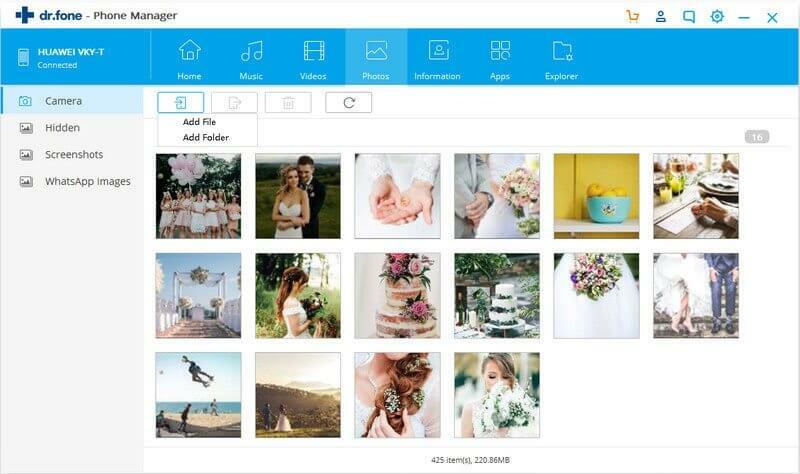 Browse your computer to choose a folder for saving these photos and click OK to start the transfer process. 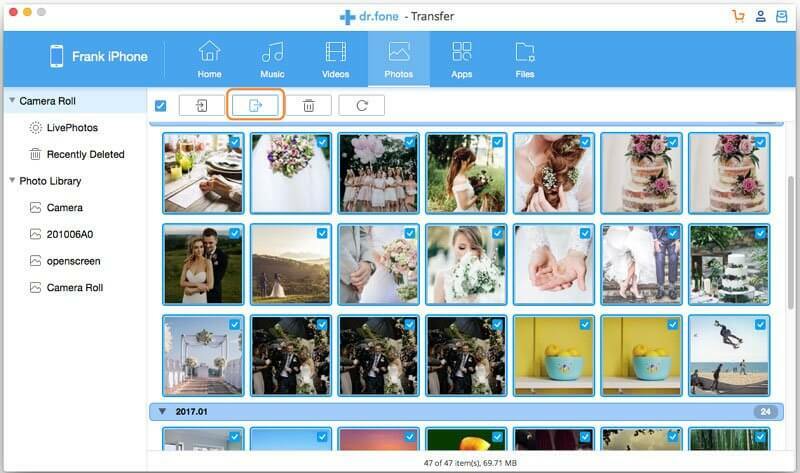 When the transfer is over, you could hit Open folder to view the exported photos or click on OK to close the prompt box.